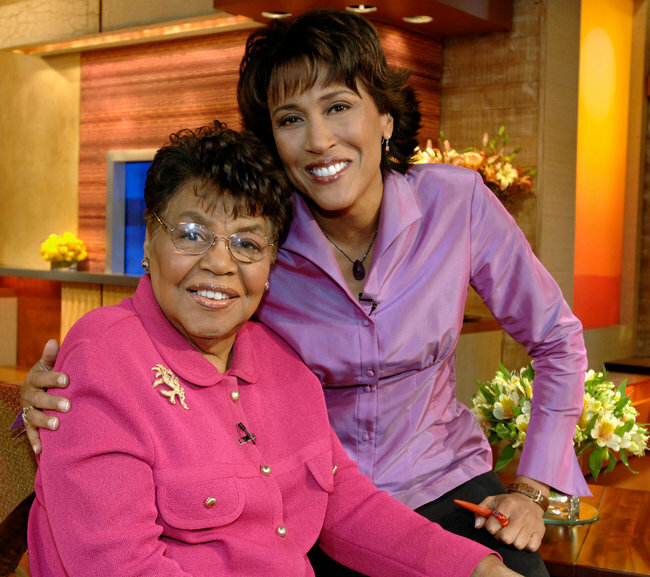 Lucimarian Roberts, the mother of ABC‘s Good Morning America co-host Robin Roberts, died Thursday night just hours after Roberts began her medical leave for a bone marrow transplant. She was 88. The news was announced in an email from Good Morning America senior executive producer Tom Cibrowski. Earlier that day, Roberts who was originally supposed to begin her medical leave on Friday, announced on the show that instead Thursday would be her last day so that she could be close to her mother, who had been ill.
Roberts’ mother often appeared on the show with her and collaborated with her on her book, “My Story, My Song: Mother-Daughter Reflections on Life and Faith.â€ The elder Roberts was also the first black to serve as chairwoman of the Mississippi State Board of Education.